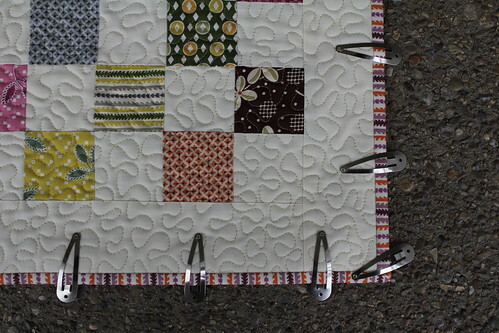 Use hair clips to hold your binding in place while tacking down the back. This simple method is much faster than pinning and the results are great. These clips can be bought where beauty products are sold. Some fabric stores sell them as well.